Following the 2016 referendum, the US tech company has raised its Creative Cloud prices in the UK. 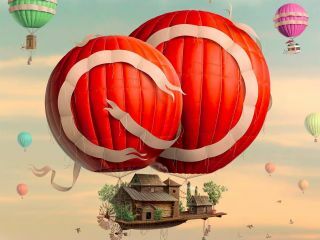 An increased price change is on the way for UK and Swedish Creative Cloud customers next month, with Adobe blaming the hike on "recent changes in exchange rates" in Europe. Adobe aren't the first US tech company to start charging more. Apple, Microsoft and Tesla have all upped their costs following the Brexit vote which triggered a slump in the value of the pound. Starting on March 6 2017, the price increase will affect products such as Photoshop, Lightroom, Illustrator, and InDesign. There aren't any exact figures yet though, although people are speculating anything between an 11 and 60% increase. A page on the Adobe site explains that price fluctuations are only made when necessary. "Our ability to align with fluctuations in currency rates will enable us to continually innovate and deliver great value through our products and services," is the official line from Adobe Corporate Communications. "We will continue to provide world-class products and services at a compelling value for all of our members." No matter your views on the referendum, it looks like creatives are going to have to dig a little deeper when it comes to enjoying some of the best tech and tools on offer. Should British designers work abroad post Brexit?